Gazillion Entertainment’s Marvel Heroes, once dubbed Marvel Universe Online and just plain Marvel Universe, will be releasing on the PC and Mac this June. Along with this news, a fresh trailer dedicated to this universe’s notorious villains has been released to the public. Sure, you’ll be able to choose your own hero in this massive, online RPG, but the villains are just as important to the experience as their cape-wearing opponents Fan favorites like Dr. Octopus, Sabretooth, Venom and the Green Goblin have broken out of their cells with intent to wreak havoc on the world, and it’ll be up to you and anyone else willing to hop online to stop them. 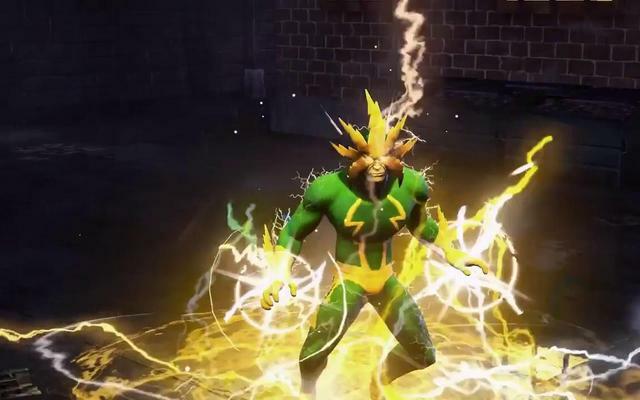 Similar to Sony’s DC Universe Online, Marvel Heroes will combine the well-worn MMORPG formula with a popular comic-book license in order to grab both core and casual audiences. Players will be able to control Iron Man, Captain America, Deadpool and a slew of other unlockable heroes in this free-to-play title, which is said to revolve around the terrible Doctor Doom. Microtransations will be the game’s main source of revenue, but anyone can download and enjoy the full experience without paying a single nickel. June 4 is the day that fans of both the Marvel franchise and action RPGs like Diablo should be looking forward to, and while there are no console versions in the works, the game’s graphical settings seem low enough for almost any machine to run. Are you looking forward to this MMO? Do you think it can surpass what DC released not long ago? Let us know what you think by leaving a comment below!